In his first sit down interview since a series of deleted remarks surfaced on social media referencing women, Islam and the LGBTQ community, Andrew Lawton says he doesn't believe in the controversial things he tweeted about years ago. Andrew Lawton says he wishes he could take back the misogynistic, Islamophobic and homophobic remarks he made on social media years ago that have since been deleted. "Yeah, I said things I'm not proud of, I said things I wish I could take back," he told CBC News. The statement came in his first sit down interview since a series of controversial deleted tweets and online posts written by the Progressive Conservative candidate for London West years ago were circulated not long after he officially launched his campaign. "We can go line-by-line through these things, but the fact of the matter is these do not represent who I am today," the former radio host continued, saying he only found out about the posts three years ago. Lawton has said repeatedly that he does not remember writing the posts, and attributes them to his personal struggle with mental wellness. After the tweets resurfaced, a London, Ont., Muslim activist group demanded an explanation from PC Leader Doug Ford on why a candidate who had made such remarks had been hand-picked to run under the party mantle. In response, Ford doubled down on his endorsement of Lawton, calling him "a good candidate," while at the same time ousting anti-abortion advocate Tania Granic Allen for making homophobic remarks that he called "irresponsible." Late Friday, in his first interview since the deleted tweets started circulating online, Lawton told CBC News that he "absolutely" does not hold the views he tweeted nearly a decade ago and that he wants to represent people from "all walks of life." "When I've been confronted by mistakes I've made, I've made apologies one-on-one with people," he said. "And as far as any tweets go, I deleted them when I found out about them three years ago." 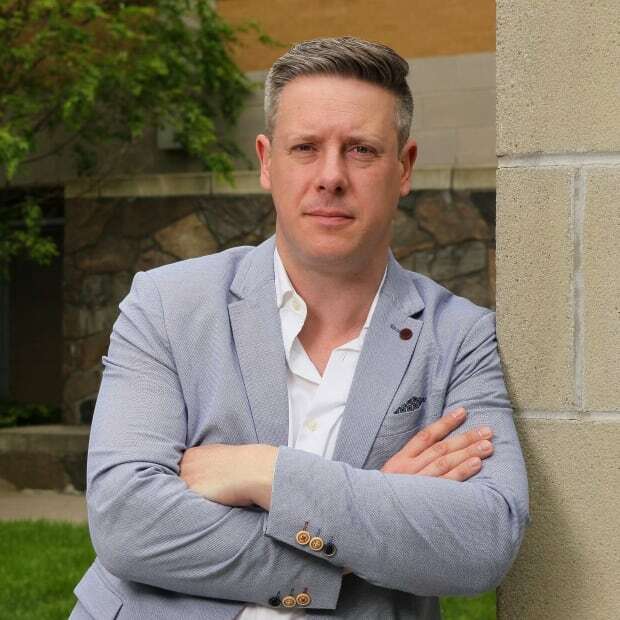 Lawton said he's had conversations with groups and people across his riding in order to better represent them, if he's elected as the MPP for London West. "That is living by example and that is moving beyond [the deleted tweets] you're pointing out, which is words," he said. "I have a number of supporters who are from all different faith backgrounds," he said. "When I talk about where I am in my life right now that is because I have been able to have all of these conversations with people." While Lawton blames his derogatory remarks about women, Islam and the LGBTQ community on his mental health struggles, he said he's recovered enough from his struggles to do the job that he's seeking. "Absolutely. I wouldn't be doing this if I didn't have the commitment and drive and ability to do it," he said. "Doing that has actually give me the strength to do it." There was one thing form Lawton's past that did stand out: a $70 ticket he received in 2014 for trespassing on a property on London's rural rim. Lawton admitted he got the ticket, then smiled before he answered the question of why he was at an abandoned farmhouse in the first place. "I was taking some photographs," he said. "I had a bit of an artistic amateur photographer streak for a while and I was taking some pictures of things and properties and that was something that happened."